As we’ve been moving through this Year of Freedom, we are intensifying our lightbody upgrade with January’s Patient Potential, which creates an open, relaxed energetic structure. That offers greater flow as the Peace that Passes All Understanding, connects new understanding. February’s energy of Power Vision strengthened the lightbody to create more focus, clarity and determination within. As we move into March, we are energizing our lightbody to amplify our impact into our lives. February had an interesting flow. In many ways it felt quick and smooth, as details often settled in the unconscious to be accessed at the appropriate time. This resulted in quite a few ah-ha moments interspersed in a quick clearings and readjustments. February’s spiraling of time was offering us the strength of focus within constant movement. The balance of stillness (January) and movement (March). 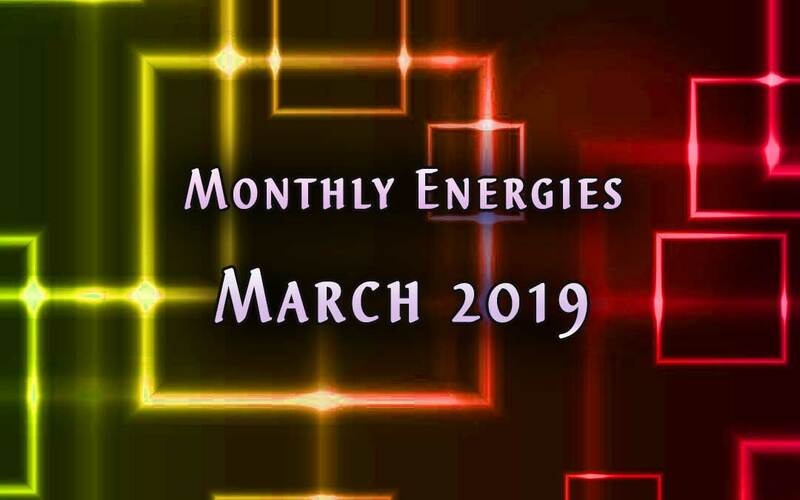 The energy I was shown for March is Creative Flow. I was shown that we are energizing our lightbody to sustain our powerful flow of Love as our spiraling energy amplifies our creative expression within/without/within/without. The breath of life is flowing to you, through you and from you. Breathe life in deeply and exhale your infinite Love into your world. I was also shown a braid—three strands becoming one pattern of life woven together. If you look at a braid and knew nothing of how to braid, it is not obvious that there are three strands weaving together. As they become one pattern, the origin becomes blended into new form. This mimics your polarity integration of the duality experience. You are weaving opposites together, the proton and electron of potential form, weaving through you. You are the third strand, connecting two opposites together through your inner choice and your external actions. You are creation, marching forward through linear time. You are the future, creating in this present moment, the invisible forming within. The future is offered to you now. What will you weave with it? As you bless this March with your powerful Love, you may not yet see the creation. This is the continuation of the February energy of the power of your vision and envisioning your power—the reflection. Own your power to create. Your freedom is an inside job. Your true freedom is within you, where your stillness has the imperceptible movement to touch All. It’s invisible, it flows through your inner vision, February’s preparation. You choose to let it flow – March (is) on. Own your power to create. You don’t have the power to control unless you can suppress another into compliance. That’s so old paradigm, and unsustainable through the movement of Time. Life will consume that. Or you can transform that. 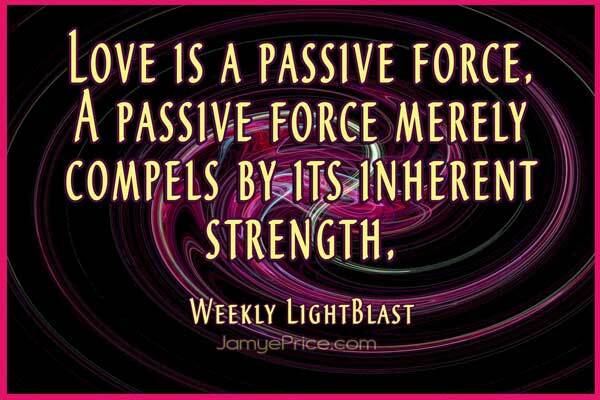 Love’s opportunity is the powerful passive forceconnecting opposites into new form. That connection, like your Love, begins within you. March will be asking you to create, to connect, to change. What will you have to change in order to hold the space of potential within you? 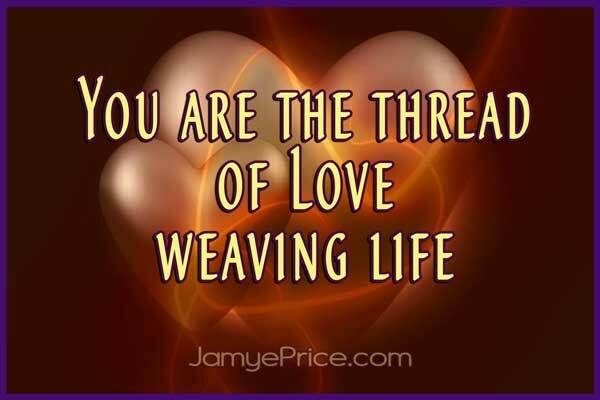 What strand of Love will you connect, to weave into the fabric of your life? What future will you create as the present story unfolds? Hold the power of your vision. Relax into a peaceful stillness. Weave your invisible strand of Love into your life, creating the new. Own your power to create. Today we wish to speak to you about "divine timing." It is an interesting phrase, for in our reality there is no space or time. In our reality we see all possibilities occurring all at once. We witness you travelling through this matrix of infinite possibility, experiencing specific spaces, situations, and and times, simply because you tune into them. Imagine that there are an infinite number of television programs being broadcast all at once. Imagine you had access to each and every one of them. You would simply take your remote control and point it at the TV after having selected your desired program. Presto! Your program appears. Likewise (and you have heard us use this analogy before) you hold the "remote control" that selects your life experiences. It is with your energy field – your thoughts and feelings, both conscious and unconscious – that you tune into realities and possibilities that will become "real" in your life. So what, then, is "divine timing" if there is truly no real space and time? Divine timing occurs when you are in a perfect vibrational match to the essence of you desired outcome. "Divine timing" is more about a confluence of vibrations rather than a specific time period. For example, if you asked us, "When will I have a wonderful Hawaiian with my family?" 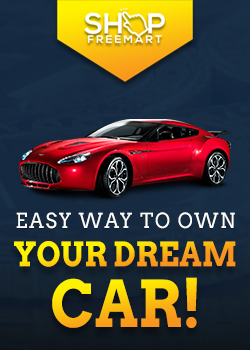 we would peek ahead and see when you are ready to receive the abundance to support your vacation, when you are ready to take time off, when you are ready to believe with absolute faith and joy that all parties involved will joyfully participate in your dream, and when their schedules will also permit participation. In that case we would urge you to focus on the feeling of having a beautiful and loving vacation with your family. We'd tell you to focus on loving your family right now, creating that feeling of a loving family vacation in every single interaction... all inside of you! Think of it this way... If you were to nag your spouse, reason with him or her, beg, plead, etc. you would find all the doors to your dream closing. That kind of behavior says, "I don't believe you are in alignment with me! I have to force you or convince you." No one wants to feel that kind of pressure. They resist. You are creating a self-fulfilling prophecy that says, "You are my adversary in this dream! Your energy is anything other than conducive to their cooperation. Suppose you say, "I do believe I can create this trip! I know it is coming!" but then the following week say, "Why isn't it working?" Your doubt belies the fact that your energy is not yet 100% focused in faith. You cannot influence others involved in your dream if you remain in doubt. Instead, suppose you remain loving, kind, understanding, and focused, To you the trip is already a fact. You say to your spouse. "I know we'll get to Hawaii someday. I have no clue how, but I love you so much I can't wait for us to share that joy. Aloha!" That is an entirely different energy dear ones. Your spouse might grumble and say, "Well I don't know how" but in your loving anticipation you'd be infectious with belief! You'd be infections with desire. Infectious with joy In that vibration the essence of your dream has to come true. You are completely ignoring their resistance, and reveling in your own joyful anticipation! In that vibration, not feeling any pressure from you whatsoever, your spouse might start thinking, "How can we make that happen. It sounds like so much fun." You might win a trip. You might be gifted one. And if your spouse didn't fall into line, for some reason, you'd find that perhaps another family invites you and the kids, and suddenly your spouse doesn't want to be left out after all. Divine Timing is not about waiting for God to figure out when it is best for you to receive you dream. It is simply about the Divine Mind – the Source – setting up the universe to run in such a fashion that when you and all you wish to involve are a perfect vibrational match for your dream, then it is the perfect time to have it. Sometimes dear ones, you have not yet fully "grown into" the vibration of your dreams. Sometimes, even subtly, you do not yet know you are worthy. As soon as you do, then, in perfection they will arrive. Video - "Judy Satori's Light Meditation From The Multi Galactic Diamond"
I love manifesting. I have played with it for nearly 25 years now. There's a feeling that comes when you've really "clicked into" the vibration you need. You see no other reality. You know what you want is coming. It doesn't feel like wishful thinking. It feels like a done deal. I'll never forget years ago when I dearly wanted to support a teacher who was being interviewed on an international radio show. With over 3 million listeners it was statistically unlikely that I'd get my call into the show and be able to give a glowing testimonial. Still in my mind, I was going to do it. There was no other reality. I felt like a laser focused so intently that I was a single minded woman on a mission. Call in. They'll answer. You'll give your testimonial. I waited until inspired and dialed the number. I knew it would ring. I knew someone would answer. They did. I gave my glowing testimonial and his book shot up to the top 100 on amazon within hours. Mission accomplished. A few decades ago a woman came who was due an inheritance. The proceedings seemed to drag on forever. The estates was finally settled, not so coincidentally, around the same time she was fully ready to manage it with wisdom. "Growing into her dream" as the angels say, enabled her to enjoy it without wasting it. I've also experienced the opposite the opposite - times when nothing happened because I wasn't yet a vibrational match. I wrote my first book years ago and was impatient to get it published. The angels told me it wasn't time. I got rejection after rejection until I finally wrote one publisher back and asked why I was being rejected. "You haven't had enough experience in your field yet," she told me. The angels had known all along that I wasn't ready yet to stand in public and bare my heart. I wasn't. Divine timing (my readiness) took ten more years! Even crazier, I've seen (and participated in!) dreams that crash and burn because people seek the outer manifestation before they are ready internally. In my thirties I so desperately wanted to be "loved and understood" after my entire life changed that I sought external relationships before really making peace with the relationship with myself! As you can imagine the external world simply mirrored my internal state. That was a clear examine "Mind Timing" vs. "Divine Timing!" Years ago Ricky Martin wrote a song called "The Cup of Life." In the lyrics he says: "The feeling' in your soul is gonna take control / Nothing can hold you back if you really want it." There is great truth in this. When you really want something just because it is in your soul to want it, then it is a true desire. If you want something because you think you should, it is the next step, it is what is expected of you, it is what you need to get what you really want, etc. then there is little fuel to your dreams. For example many people say they want to manifest money. Some do. Some just want what they can get with it. Make sure that what you want is the bottom line. Don't try to manifest one thing to get another. In my manifesting classes we keep asking, "Why do you want it?" until we get down to the bottom line... "I want his because I want it!" No reason. I just love the feeling it gives me thinking of having it. That is your true desire. Have reminders of your dreams all around you. When you think of your dream, your toes should tingle!! Well maybe not that, but when you think of a true desire and you are not resisting or blocking it, you will have a visceral reaction that feels like love! You'll feel expanded, excited, joyous, playful, peaceful, incredibly content, or some other variation of a wonderful loving feeling. Anything less means it isn't a true desire, or you have some internal unconscious resistance. If you know you want something but can't get excited thinking about having it tomorrow, dive inward. Something inside you is resisting. Ask yourself, "Who inside of me isn't OK with me having this dream if it came tomorrow?" Dialogue. Negotiate. Ask that part what it is afraid of. Console it. Love it. Be the parent it never had. For example, sometimes when I envision things I'm manifesting I find a part of me that is fearing others will misunderstand, judge, and be jealous of me. I gently remind that part that we don't care what people think. I love her, and we are A-ok with God and the angels. The resistance calms down and I feel excitement once again. Once you clear resistance, you'll feel amazing again when thinking of your dream. There is no dream too large or small for the universe to fulfill. The source sees deeply in our heart, our energy field, and wants to fulfill our deepest desires. We are the ones that must do the work to get our energy in perfect alignment. We are the ones who must get our fears and doubts out of the way. When we do... woo hoo! Divine timing delivers them in unexpected, joyous, and amazing ways! Let me feel your Love. Instead of this feelings of distress. No longer needed to be hold. See the beauty I see in You. I tell you now, you are not all that. To Be, bringing Home to Your Self. And not drifting apart again. Given freely to your Self again. Video - "Awaken Your Healing Energies & Be Uplifted With The Archangels"